Programs at PGC are all hands-on. 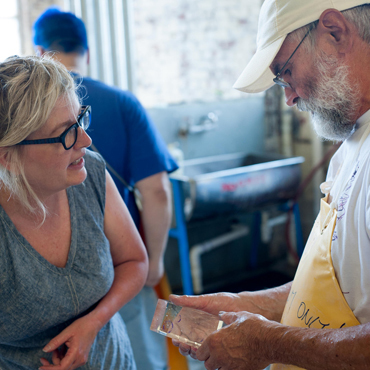 You'll see demonstrations of the skills you'll be learning followed by hands-on glass working. Classes are small so that each student gets individualized attention. 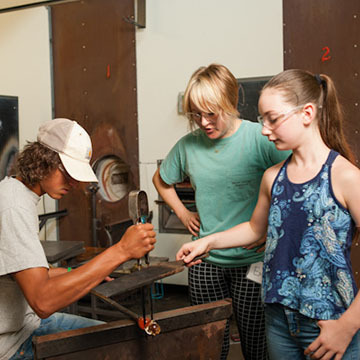 SiO2 is a glass art program designed for young people in grades 6-12. SiO2 shatters the conventional notion that glass art is only for adults. The program’s hands-on courses are structured specifically for young people. 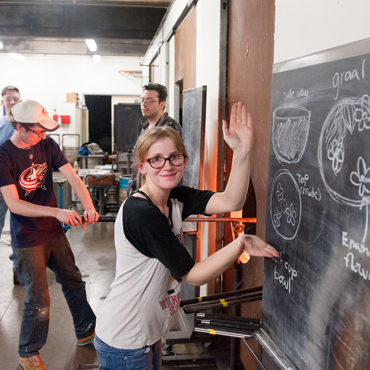 All four of our state-of-the-art studios are open for young adults to explore their creative potential and embark on an education in glass. 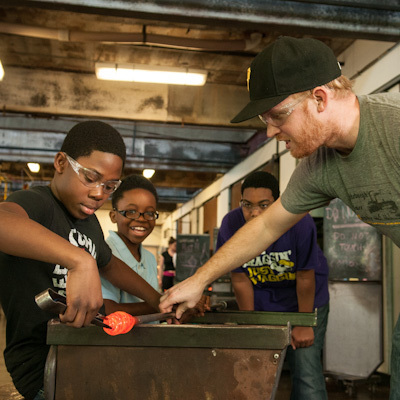 PGC has many opportunities from 1-day weekend workshops to multi-week after school programs for young people to learn about glass while also learning the significance of teamwork, discipline, communication, and mutual respect. In addition to short introductory sessions, we offer multi-week classes for adults of all ages and abilities. Workshops are a great way to get started in glass and try all of the different processes and techniques in a short period of time. Experienced artists lead the workshops and all materials are provided.